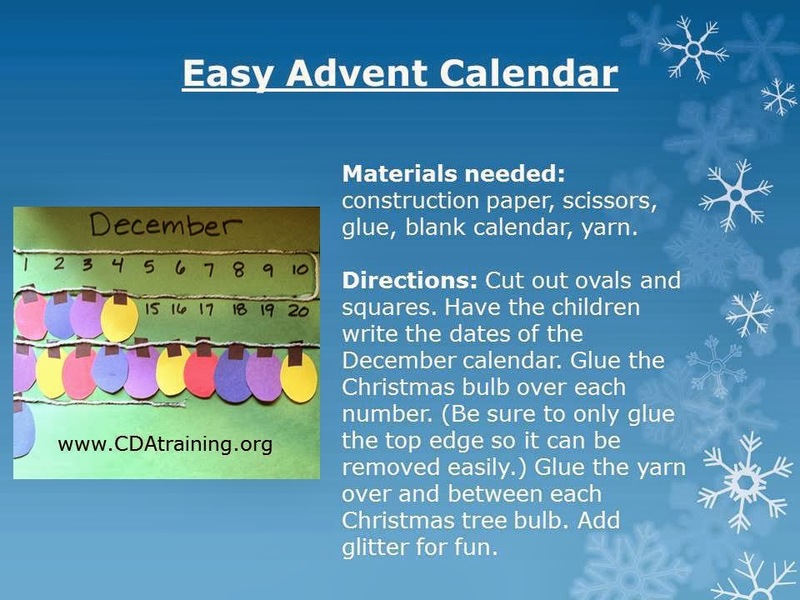 Materials needed: construction paper, scissors, glue, blank calendar, yarn. Directions: Cut out ovals and squares. Have the children write the dates of the December calendar. Glue the Christmas bulb over each number. (Be sure to only glue the top edge so it can be removed easily.) Glue the yarn over and between each Christmas tree bulb. Add glitter for fun.